The Canon 6D Mark II vs. Canon 5D Mark III: which is better for still photography? Like all comparison guides, there’s no simple answer as personal expectations are subjective. It’s easy to assume the costlier model is the best one, but it’s not that simple. Both cameras are DSLRs with full frame sensors. This thorough yet straightforward head-to-head review reveals the full details. These Canon DSLRs are favorites among semi and pro-level photographers. However, their appeal doesn’t stop there. Some similarities and differences are apparent, but there are surprises, too. The list below shows how we break these two giants down and compare them side-by-side. Why Consider the Canon 6D Mark II over the Canon 5D Mark III? 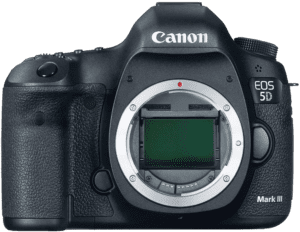 Why Consider the Canon 5D Mark III over the Canon 6D Mark II? Both the Canon 6D Mark II and Canon 5D Mark III share some significant features. Each camera sports a 1.040k dots high-resolution LCD screen. They also have top-mounted LCD panels. Top LCDs are invaluable for use with travel tripods or when composing and shooting below waist level. In these cases, top LCDs are more comfortable to view and easier to change various settings. External flash shoes are standard for modern DSLRs and offer better lighting than popups. The optical viewfinders provide photographers with accurate framing and comfortable control. The cameras have environmental sealing to protect them from splashes and dirt. Sealed bodies let photographers focus more on the shoot and less on the equipment in poor weather. Those who demand high-quality audio will be happy with the microphone ports. And portrait photographers can save time by exploiting the Face Detection Focus feature. Post editing enthusiasts get to shoot RAW with either the Canon 6D Mark II and Canon 5D Mark III. Auto Exposure Bracketing (AEB) is valuable for challenging light and resolving high contrast issues. These cameras have autofocus fine-tuning, also called AF Micro Adjustment (AFMA). It’s a helpful feature when there’s a need to manually correct minor errors in front or rear focus. Canon’s 5D Mark III is noticeably larger of the two cameras from the front view. The difference is around 10%. It’s also 24% heavier which is a significant disadvantage. The bodies of both cameras have weather sealing to protect against dust and splashes. Environmental sealing is a much sought-after feature though it does add to the weight. The total weight of these cameras depends on the mounted lenses. These models share the same Canon EF lens mount and therefore have the same choice in glass. Canon 5D Mark III Width: 6.0” Height: 4.6” Depth: 3.0” Weight: 35.5 oz. Our cameras look similar from the front view, aside from their physical size difference. The top is also comparable apart from the 6D Mark II’s extra function button next to its LCD panel. The rear is where there’s the most noticeable change to the contours and layout. That’s because of the 6D Mark II’s articulating LCD and its large door hinge on the left side. Canon first announced its 6D Mark II in June 2017. It was—and continues to be—a popular DSLR choice among entry-level professional photographers. 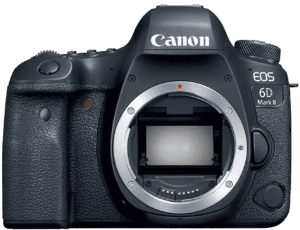 Canon’s 6D Mark II is the cheaper of the two cameras, yet it has more advantages than its rival here. The extra bells and whistles don’t automatically make it the better choice, though. The max 26MP sensor resolution has 18% more pixels than the 5D Mark III’s 22MP. Battery life is also better by 250 shots on a single charge. The 6D Mark II boasts 1200 shots to the 5D Mark III’s 950. Connectivity is another area where it wins easily. The EOS 6D Mark II includes built-in WiFi and NFC (near-field communication) connection. It also has Bluetooth and smartphone remote control. Built-in 5-axis digital image stabilization (Movie Digital IS) is available in movie mode. It does a decent job of removing camera shake when recording. The Canon 5D Mark III lacks this feature. Photographers who want a selfie-friendly LCD have that too. Its flexible articulating LCD is also a touchscreen. Touchscreens provide easier, faster access to camera menus. The lighter weight of the Canon 6D Mark II is another of its attractions. Its total weight (body only) is around 27 ounces to the 5D Mark III’s 33.5 ounces. The difference is 6.52 ounces (185g) lighter. Another advantage is the camera’s support for UHS Memory Cards. That means it can read and write data much faster than its rival here. The downside is that it only has a single photo & media storage slot. The 6D MK II’s 6.5fps (frames per second) continuous shoot mode is 0.5fps faster than the 5D Mk III. It’s a small difference and one that will matter more to some than others. ISO is another area where the EOS 6D Mark II triumphs. Its max 40.000 ISO is higher by 56%. It also excels in its low-light ISO performance with a score of 2862 vs. 2293. Canon’s EOS 6D Mark II prevails in areas of color depth and dynamic range as well. Color depth is 24.4 vs. 24.0, and its higher dynamic range is 11.9 vs. 11.7. This camera has four more cross type focus points than the 5D with its 45 vs. 41. The final pro is its time-lapse recording. Time lapse is another favorite feature the EOS 5D Mark III doesn’t have. So, can the Canon EOS 5D Mark III have anything significant to offer over the EOS 6D Mark II? Keep reading to find out. The Canon EOS 5D Mark III succeeded the EOS 5D Mark II. The company officially announced it to the world in March 2012. That was also the 25th anniversary of the first-ever EOS camera, the 650. Canon’s 5D Mark III is the costlier of the two models here, but is it worth the extra money? That all depends on whether its fewer advantages check enough of your priority boxes. It has a slightly larger 3.2” LCD over the 6D Mark II’s 3.0”, a difference of 0.2-inch. A more significant advantage is the 100% viewfinder coverage. That makes it more accurate than the MK II’s 98%. Another positive is the faster maximum shutter speed of 1/8000s to the EOS 6D Mark 2’s 1/4000s. The 17% larger sensor pixel area is another plus at 39.06µm2 vs. 33.19µm2. Cameras with lots of focus points have less need to re-frame a shot after the initial focusing. The 5D Mark 3 here has 16 more focus points with 61 vs. 45. Last up are the external features. The 5D Mark III has a headphone port, flash sync port, and an extra storage slot. The headphone port is a huge benefit for videographers & camera vloggers who demand better DSLR video control. Some photographers are sure to welcome the flash sync port. Off-camera flash allows for a lot more creative lighting control. And the extra storage slot is invaluable for busy professionals on long shoots. Fans of both cameras agree that these Canon giants offer excellent value for money. Despite that, neither of these models are cheap. They’ll be plenty of enthusiasts that can’t justify their high prices. The main gripe—at least at a shared level—is the absence of a built-in pop-up flash unit. Okay, most photographers at semi and professional levels try to avoid the harsh light of a built-in flash. That said, a popup flash is better than nothing when one needs to shoot in the dark without warning. Both these cameras are popular models in their respective class. There are more criticisms from first-time Canon owners than from die-hard fans, though. Either way, most of the feedback is favorable. Let’s start with the Canon 6D Mark II. Many reviewers agree that it’s an excellent choice for entry-level pros. Some say it over-delivers on its promises. The articulating LCD touchscreen is a huge hit with all. Reviewers approve of the many functions and superb image quality for the price of this camera. Some have shot with costlier full-frame DSLRs and suggest the stills are comparable. Those who upgraded from the original 6D say the improvements are a pleasant surprise. They love the new, more solid feel to the camera. There’s praise for the better focusing system too. The size and weight reductions are welcome for folks used to the bigger, heavier 5D series. The EOS 6D Mark II has its critics, though, just as any other camera out there. Most of the niggles are personal and by photographers familiar with higher-end DSLRs. However, there are a few shared criticisms from new users, especially video buffs. Canon promotes its 6D Mark II as a DSLR still camera with video capability. In other words, it’s a camera primarily for photographers that offers some video features. There are still those who complain about no headphone port and the lack of 4K video. The single memory card slot is another shared gripe from both videographers and photographers. Canon’s 5D Mark III has been around since 2012 and has lots of feedback from real users. It’s not the best seller it once was, but it’s worth every penny to its fans. There’s praise for the full-frame CMOS sensor, fast, accurate autofocus, and dual card slots. The built-in vibrating sensor cleaner is another detail that owners appreciate. Older reviews share their delight at the long battery life. It’s quite good, but it’s not on a par with many of today’s higher-end DSLRs. Even the 6D Mk II here offers 250 extra frames on a single charge. Pro photographers write of the sturdy construction and comfortable ergonomic design. 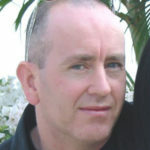 The image and video quality meet the expectations of most reviewers too. Other welcome features include the silent mode, low-light capability, and AF Micro Adjustment. Owners see the Canon 5D Mark III as a reliable workhorse and tend to hold onto it for a long time. The robust build, reliability, and long-lasting features have kept this camera alive for so long. Still, recent comments talk of the now outdated technology and low SD card write speeds. Some complain about the absent built-in flash and the high cost of this camera. It wouldn’t surprise me to see some substantial discounts on this model soon. There are plenty of “like New” offers around for half the price of a new model. It’s something to think about for folks on a tight DSLR budget who have their heart set on the Canon 5D Mark III. The differences between these two Canon cameras are stark. I can’t see any reason to spend the extra dollars on the EOS 5D Mark III. Maybe you disagree? Let’s recap its benefits. The 5D Mark 3 has a slightly larger LCD, but it doesn’t swivel, and it’s not a touchscreen. Videographers are sure to welcome the better sound control using the camera’s headphone port. Action photographers and heavy users will welcome the faster shutter speeds and dual card slots. The EOS 6D Mark II is the clear winner in my book. It’s more affordable, more modern, lighter, and has more connectivity options. It also boasts a swivel touchscreen and slightly better image quality.